SportsFit Physio & Health will keep you fit and healthy in all aspects of life. Our philosophy is everyone deserves access to the same level of care, whether you’re an elite athlete or an office worker. Our highly experienced team are experts in sports and musculoskeletal conditions, and will help you be WorkFit, LifeFit or SportsFit. 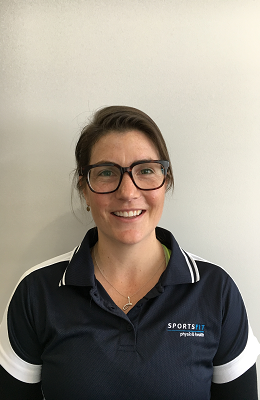 Jessie graduated with Honours from The University of Melbourne in 2007 and completed her Masters of Sports Physiotherapy at LaTrobe University in 2016. Following graduation Jessie worked in hospitals, private practice and supporting sporting teams. In 2014 she was able to follow her dream, combining her love of skiing with physiotherapy, by joining the Australian Aerial Ski Team as Team Physiotherapist. Jessie has travelled extensively with Australian winter sports including attending the 2018 Olympic Winter Games in PyeongChang with the Aerial team. For a change of climate, she has also worked at the 2018 Commonwealth Games on the Gold Coast. Aside from skiing and snow related injuries, she has a particular interest in low back pain, hip and knee injuries, always with the goal of achieving the best outcome possible and improving performance. Charissa’s first encounter with physiotherapy and Pilates was in 1997, as a young, injured dancer. Pilates became an integral part of her injury rehabilitation and dance conditioning throughout her pre-professional dance career, and led her to develop a real passion for body wellness. 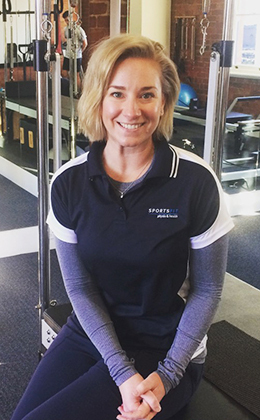 Completing her Pilates teacher training (Australian Pilates Method Association) in 2007 and Physiotherapy degree (LaTrobe University) in 2009, she has since spent much time working in the areas of elite gymnastics and high level dance medicine. Utilising both finely tuned physiotherapy management techniques and Pilates instruction to achieve great things with her clients. 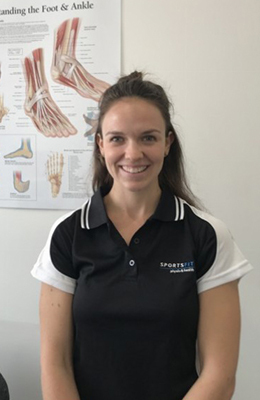 Charissa has special interests in biomechanical analysis and movement retraining, dance-specific injury management and prevention, and mentoring junior physiotherapists and Pilates practitioners. She prides herself on her attention to detail, her ability to truly understand what motivates her clients, and her unique skill to intertwine evidence-based clinical medicine with a holistic and grounded approach to complete wellbeing. Sarah graduated from Monash University in 2013 with a Bachelor of Biomedical Science and then completed a Doctor of Physiotherapy at Melbourne University graduating in 2016. She has worked in public health in a range of areas including neurological rehabilitation, paediatrics and intensive care. For several years Sarah has worked with the St Kevin’s Old Boys Football Club, and currently is their head trainer. She is committed to improving injury awareness and prevention in Female Athletes. From participating in high-level swimming and dance, she values strength, control and technique in her approach to rehabilitation. Sarah also has a keen passion for Pilates, education…. and music! Since graduating from Melbourne University in 2004, Brad has worked at a range of private practices, hospitals and sporting clubs in both Australia and London. He has extensive experience with sporting teams at the local and elite level, including work with the Hawthorn Football Club during their 2013 premiership season and the Australian Institute of Sport looking after the Men’s volleyball team at the 2013 national championships. He is currently the head physiotherapist for the St Kevin’s Old Boys Football Club. 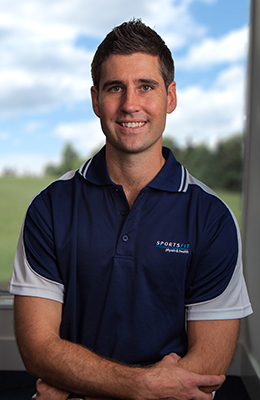 Brad’s special interests reflect his background working in elite sport, specifically treating and rehabilitating sports related knee, spinal and shoulder injuries. He’s also keenly interested in lower limb tendinopathies and running biomechanics. Outside work Brad is on the Victorian council of SMA, loves going running and surfing and is a dedicated husband and father. If he’s lucky, he might squeeze tennis in somewhere too. Jodie graduated with Honours from The University of Melbourne in 2004. She has since completed a double Masters of Sports Physiotherapy and Masters of Musculoskeletal Physiotherapy at Latrobe University. Jodie has a keen interest in rowing, using experience from coaching and treatment of national squads to deliver first class outcomes. She has established a thorough understanding of rowing injury prevention and correct technique. Additionally, she has particular interest in running and riding technique and neck and upper back pain and injury. She has worked with VAFA Premier Division teams Collegians Football Club and Old Scotch Football Club and was awarded the VAFA Trainer of the Year in 2014. Jodie loves working with children and adolescents to help achieve their sporting dreams. Hayley graduated with a Bachelor of Podiatry at UniSA in Adelaide and since has gained a wealth of experience in all scopes of podiatry. She has worked in private practice in locations near and far including Adelaide, South Australia and London, UK. She enjoys all scopes of podiatry, but has a special interest in musculoskeletal cases; with excellent skills in orthotic therapy, dry needling, mobilization and exercise programs. Hayley has almost 8-years of sports footwear knowledge, from working at Adelaide’s leading running store; Joggers World. She happily advises on appropriate footwear for patient’s needs. Out-of-clinic, Hayley enjoys a tasty brunch in the sunshine, and training her way back into VAL and beach sprint titles! 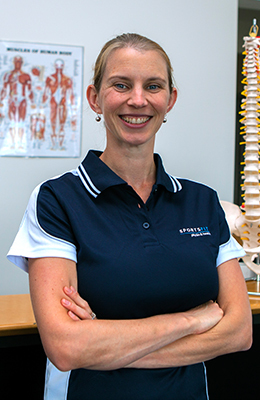 Mimi graduated from Griffith University in 2001 with a Bachelor of Exercise Science and Masters of Physiotherapy. She began practising in private practice and with a focus on Pilates and Dance Physiotherapy. With a strong background in performance and dance, Mimi was able to live her dream and literally run away to join the circus- becoming Head Therapist with Cirque Du Soleil for 13 years. She toured the globe working with elite athletes and performers, and alongside some of the leading sports medicine teams around the world. This experience makes her one of the leading therapists in rehabilitation for performing arts and dance injuries. Clients love her holistic and dedicated approach, and also her ability to talk shopping/fashion tips. Outside the clinic Mimi also finds the time to follow her other passion by having her own stylist business. Educated in Melbourne, Fiona was heavily involved in sport, particularly hockey and swimming however her enduring passion has been cycling. A desire to share the benefits of a balanced lifestyle, has seen Fiona employed in the fitness equipment industry and led her to the Diploma of Remedial Massage, where she has proved popular with clients and developed a loyal client base. 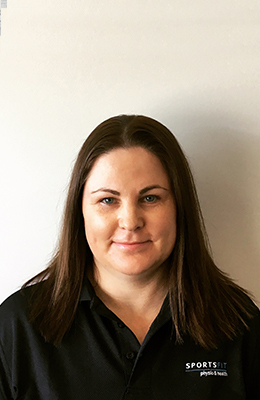 Fiona has extensive experience working with a variety of athletes including the Oakleigh Chargers Football Club TAC Cup League and amateur cycling groups. Combined with over 8 years of clinical experience Fiona is especially knowledgeable and effective with regards the assessment and treatment of musculoskeletal pain and dysfunction. 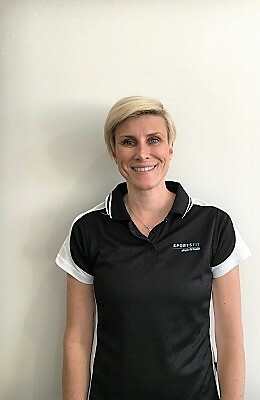 Fiona is able to draw on a range of techniques when it comes to treating the soft tissue elements including, deep tissue massage, sports massage, remedial injury management and rehabilitation, trigger point therapy, myofascial release, stretching, cupping and dry needling. Her work is founded on a solid anatomical knowledge and she looks forward to assisting you. Paula completed her Bachelor of Nutrition and Dietetics with Honours from Monash University. Combining her passion for food and experience, she believes in providing not only advice that is evidence-based, but is realistic and practical to reach your goals. She enjoys educating people and believes everyone should keep a healthy relationship with food. Paula has a special interest in weight-loss, diabetes, food allergies and dietary intolerance. Not prescribing to the ‘diet’ approach, her weight-loss management involves listening and then educating on improved lifestyle choices and eating behaviours. Outside of work Paula loves to travel and hopes to get back into playing Netball. We have a dedicated team of health professionals who believe in collaboration and providing the best level of care. Click for LINKS to other professionals/sites we recommend or are affiliated with.